The show was themed 'Winter' because, well happened during the winter, basically, and featured 9 members of the collective Austin Lysaght, Caomhán Mac Con Iomaire, Kevin Bohan, Killian Dunne, Nicola Colton, Sarah Tobin, Sonya O Brien, Tarsila Kruse and Jess Tobin. 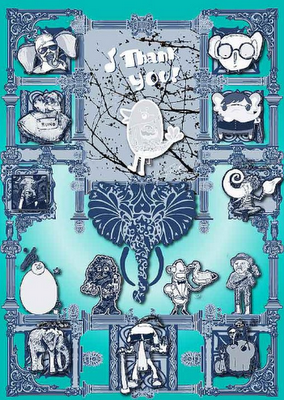 In addition to the work that we created for the theme, we have each made a small illustration to give to Farmleigh as a of a thank you for allowing us to show in such an amazing location. 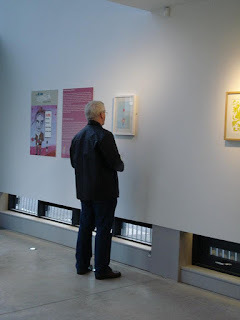 The theme for these pieces is Motor house, because the space that we are exhibiting in is the old motor house where the Guinness family used to keep their cars. 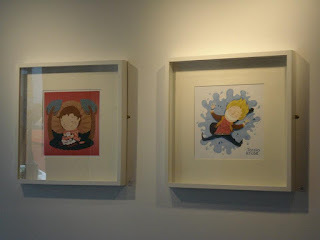 Seen as it is Christmas and a time of giving, we, having been inspired by what Poppy & Red did last year, have created a set of Christmas cards which were sold to raise money for Barretstown. 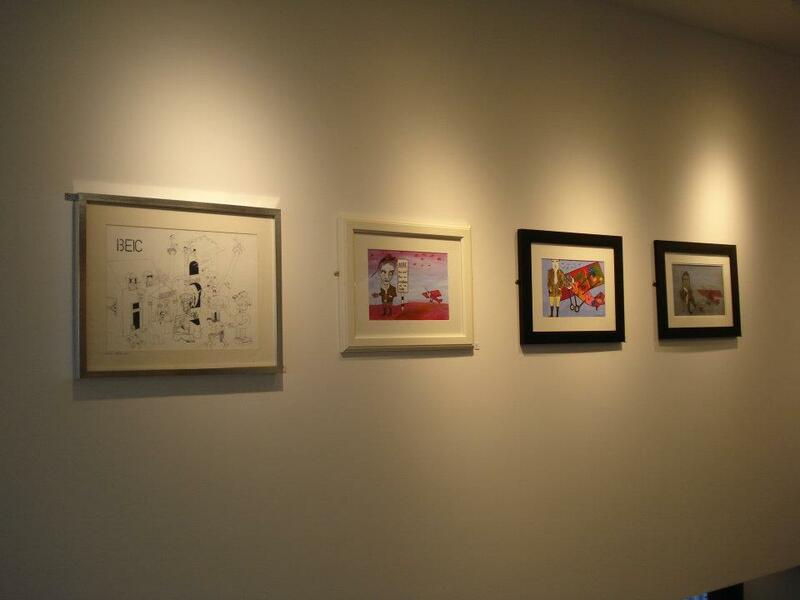 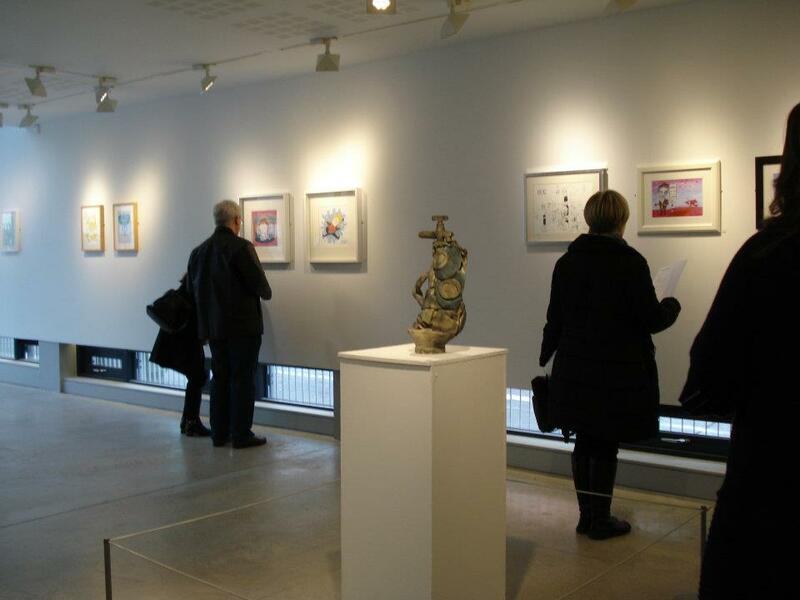 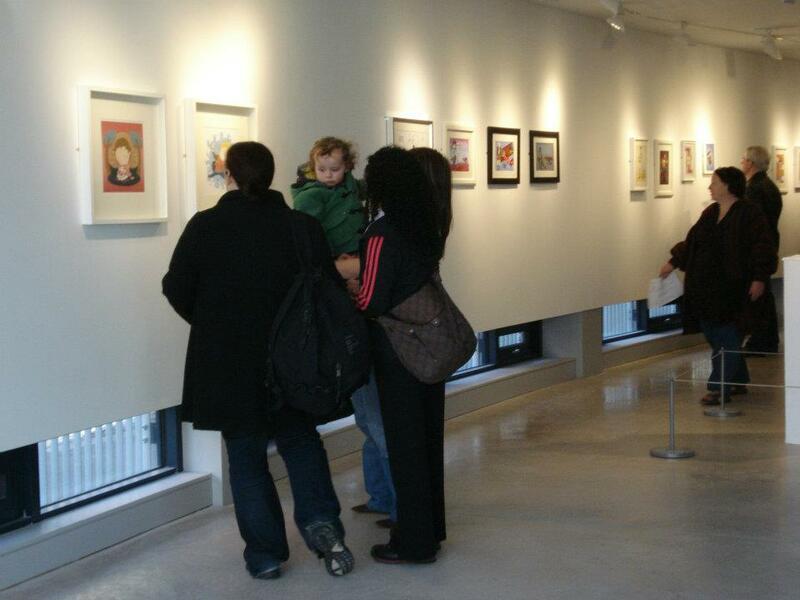 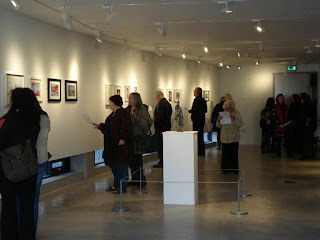 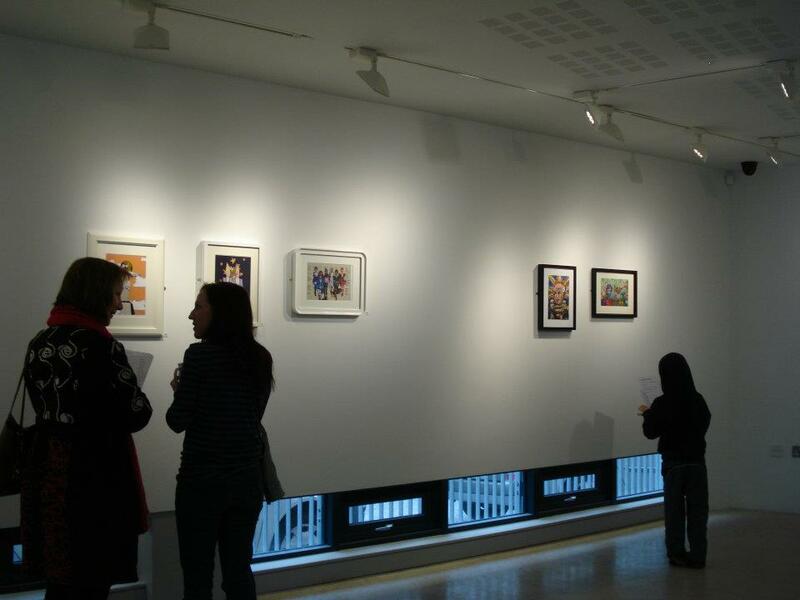 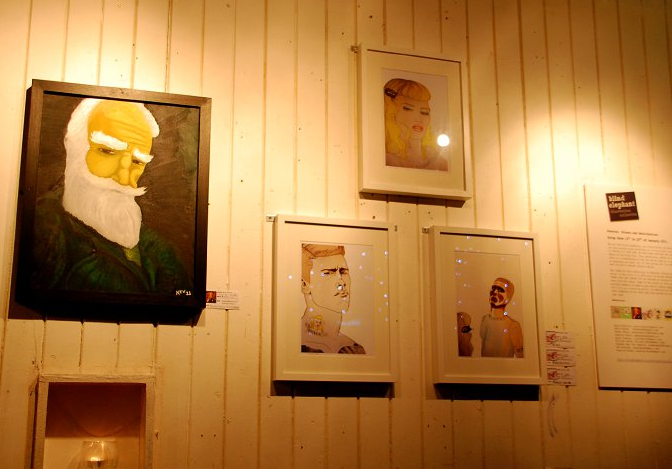 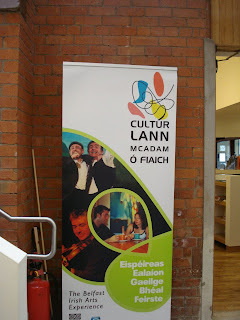 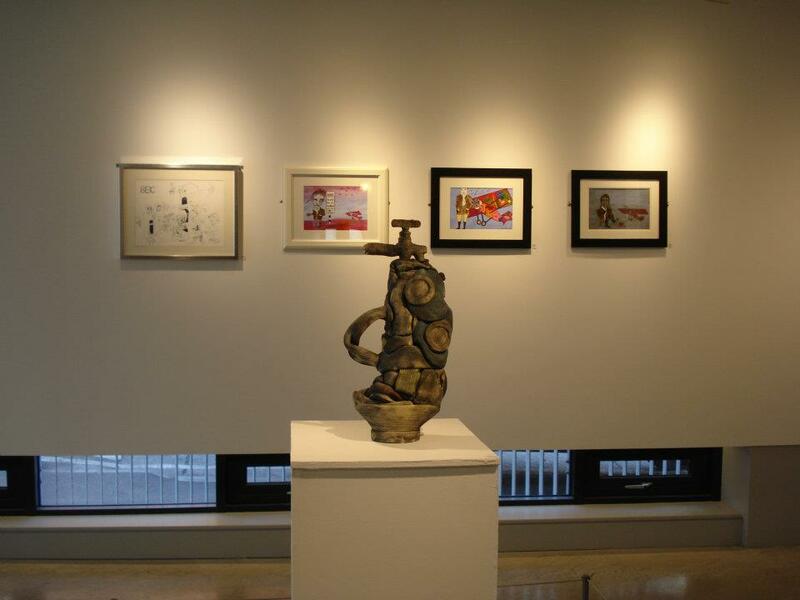 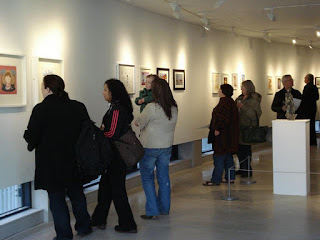 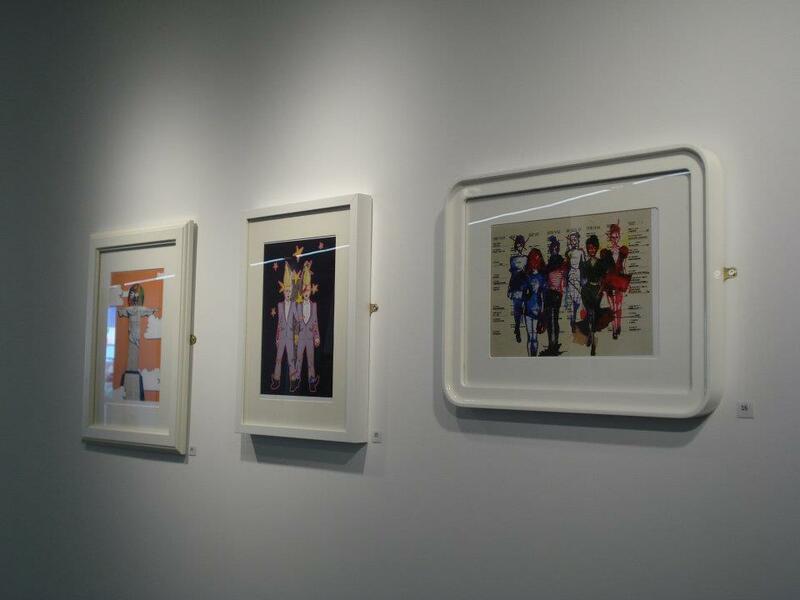 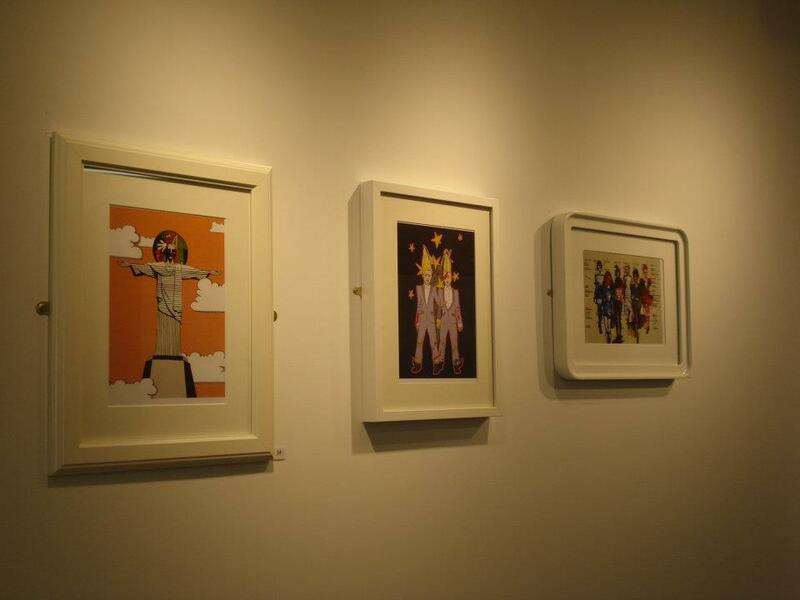 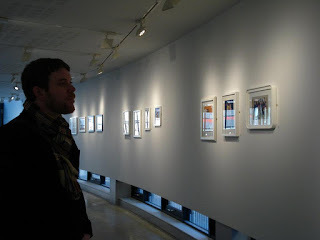 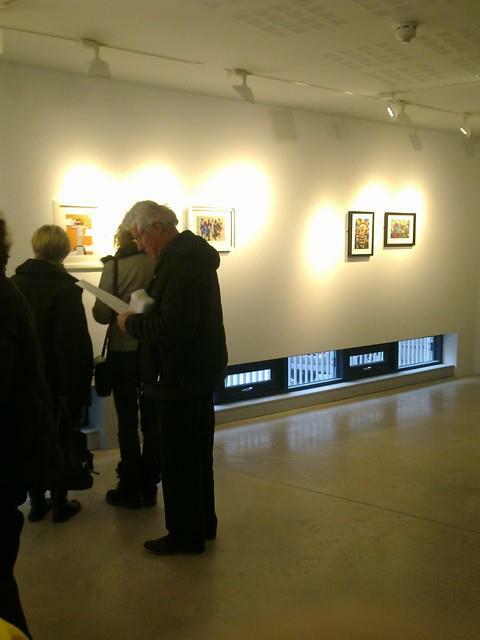 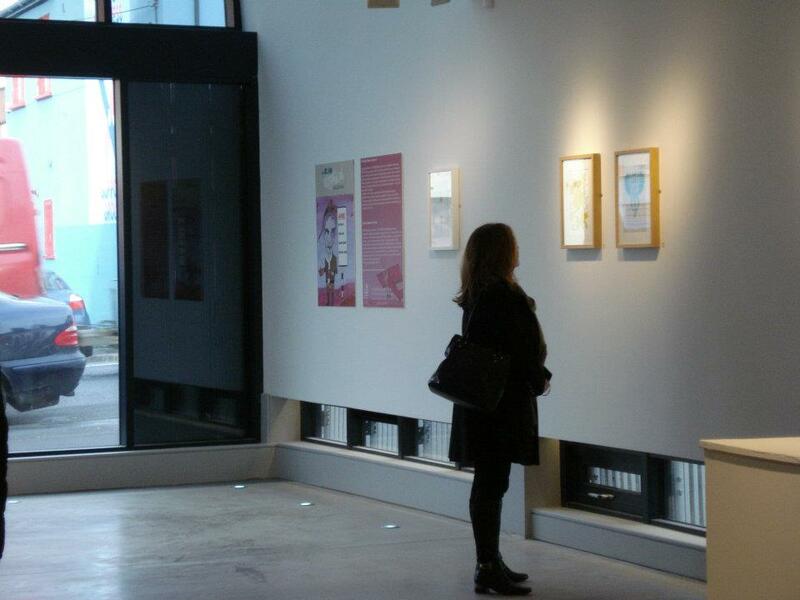 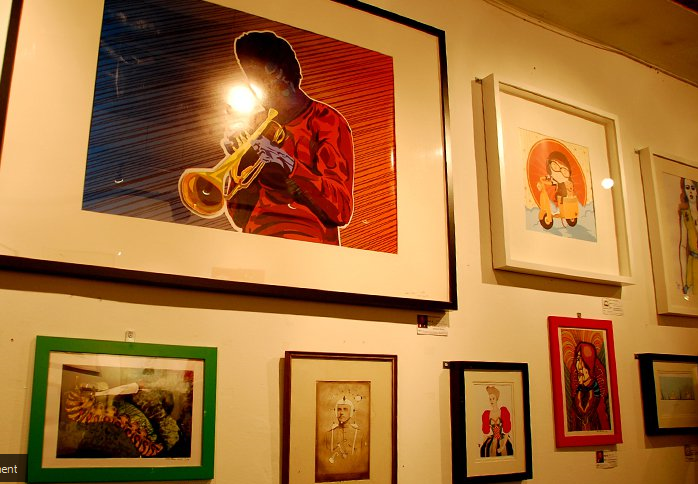 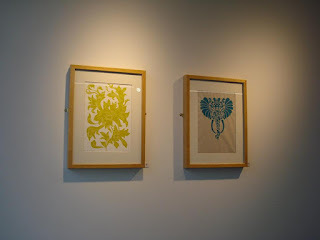 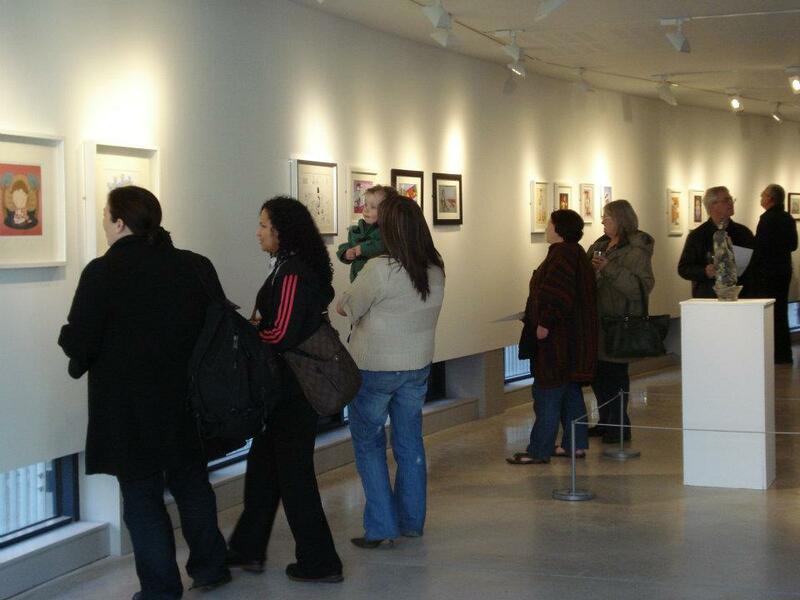 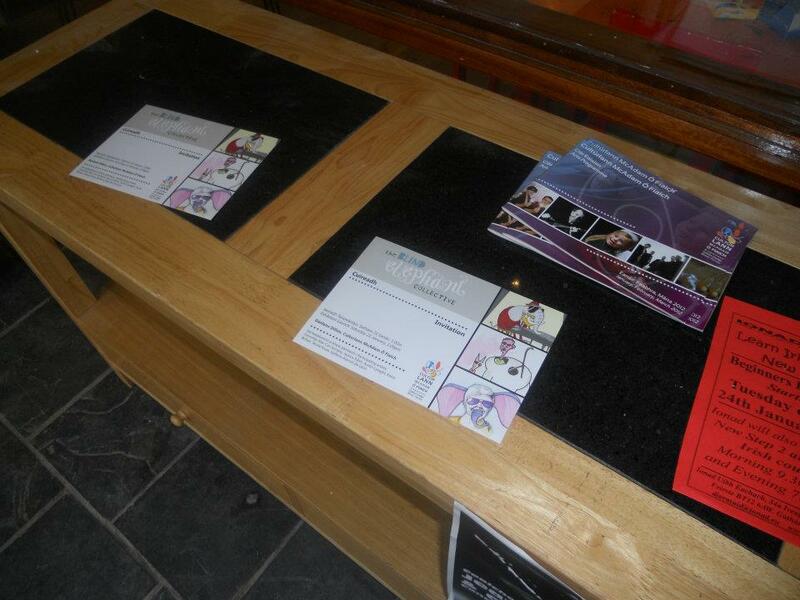 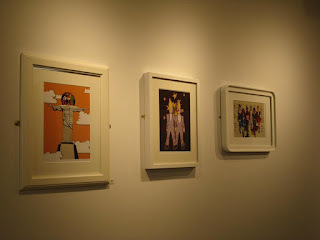 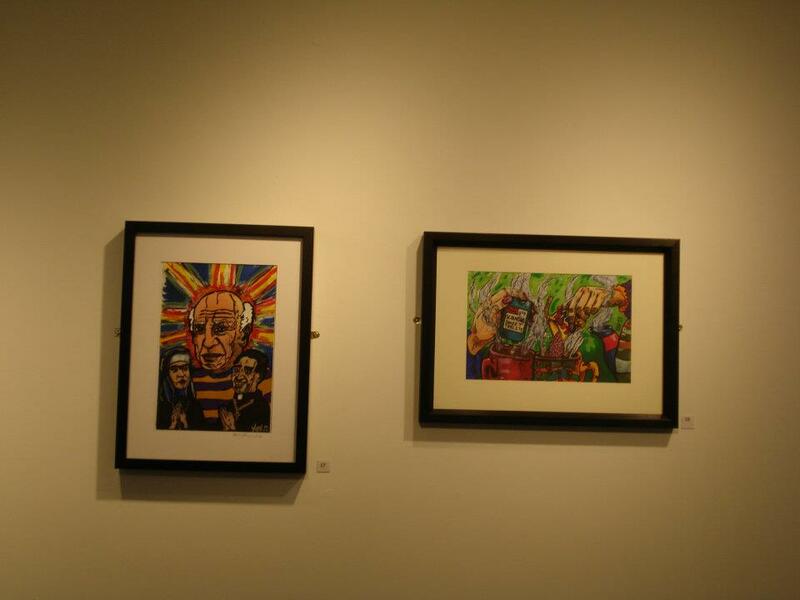 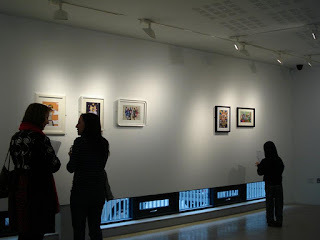 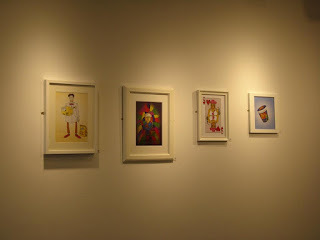 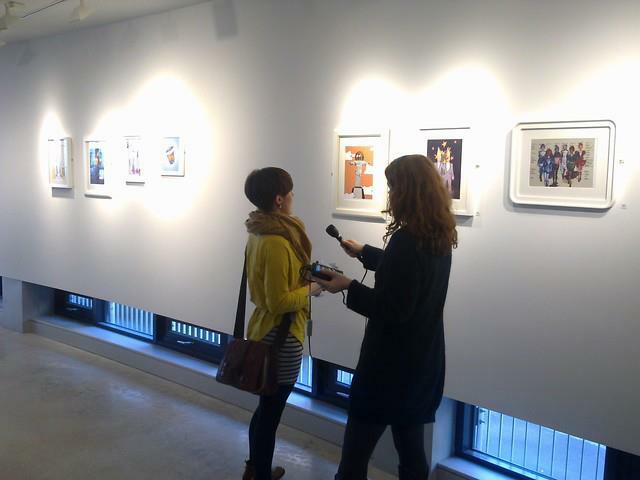 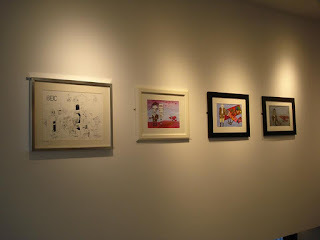 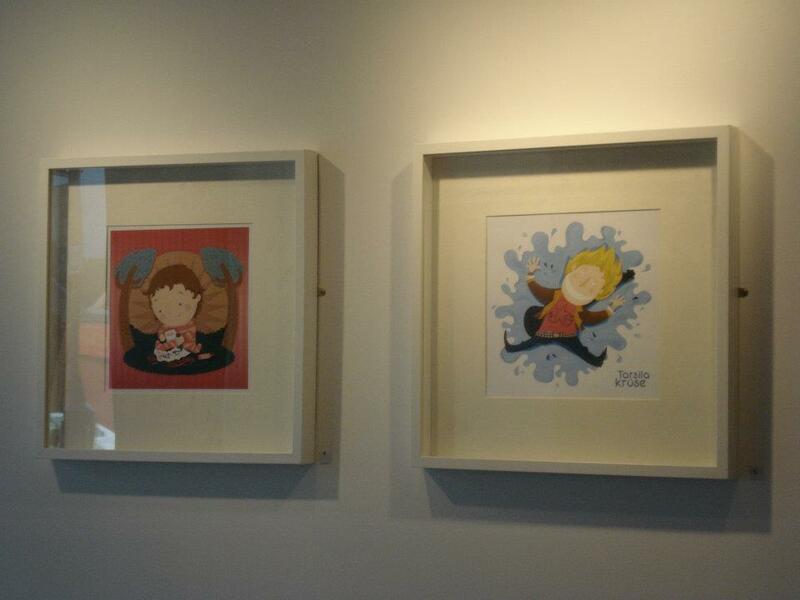 January 2012 saw us hold our second exhibition in the fantastic Culturlann McAdam Ó Fiach in Belfast. 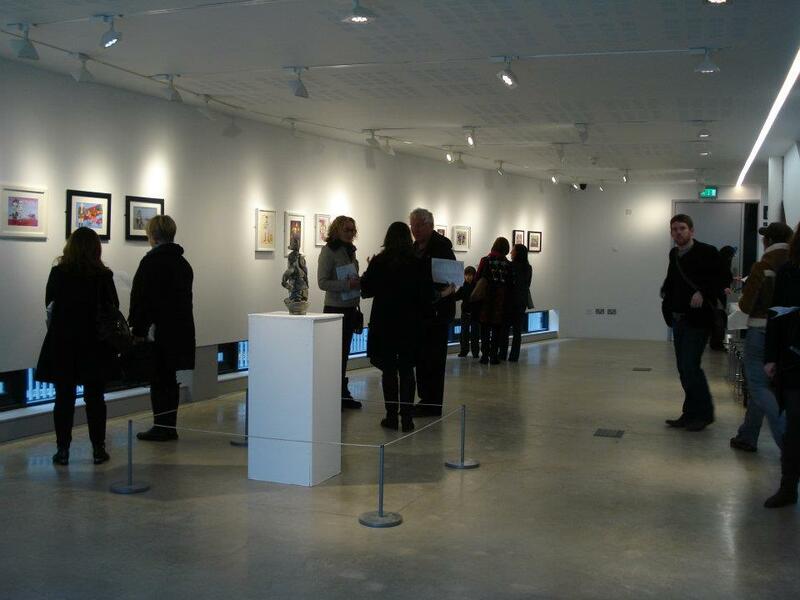 The show is open until the 23rd of February, so if you haven't seen it yet, you still have plenty of time! Many thanks to all the staff at the Culturlann for supplying the space, the crowd, the wine and last but not least, the Jaffa Cakes. Incredible scenes. 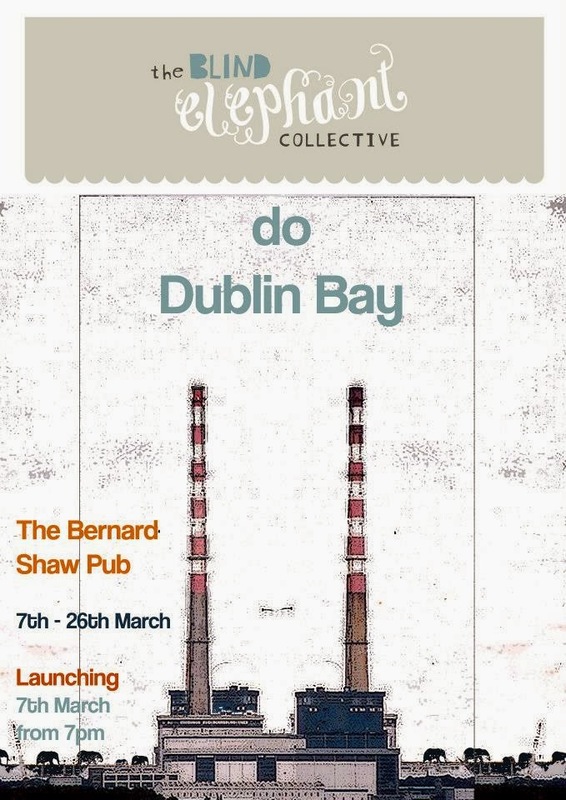 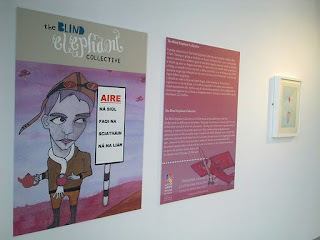 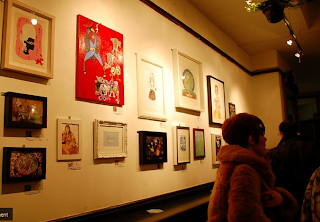 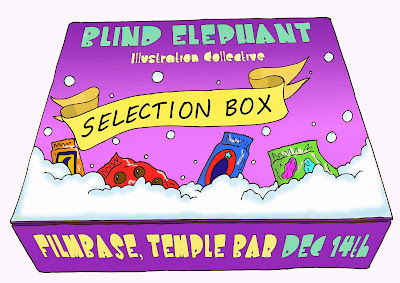 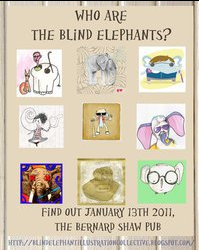 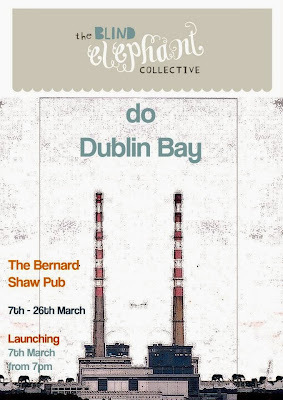 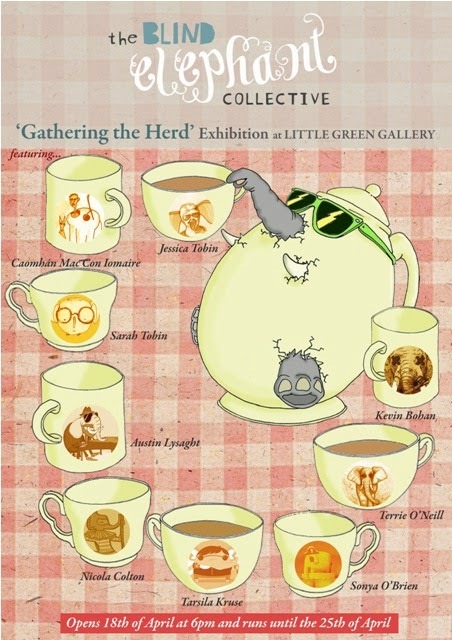 The first Blind Elephant Illustration Exhibition took place in January 2011 in the Bernard Shaw pub in Dublin. 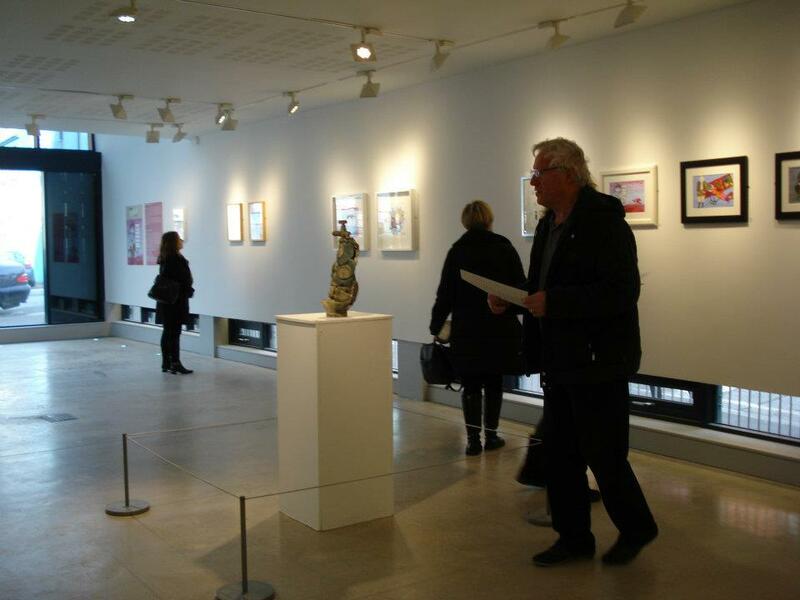 Make sure you follow us on Facebook to find out about any future exhibitions. 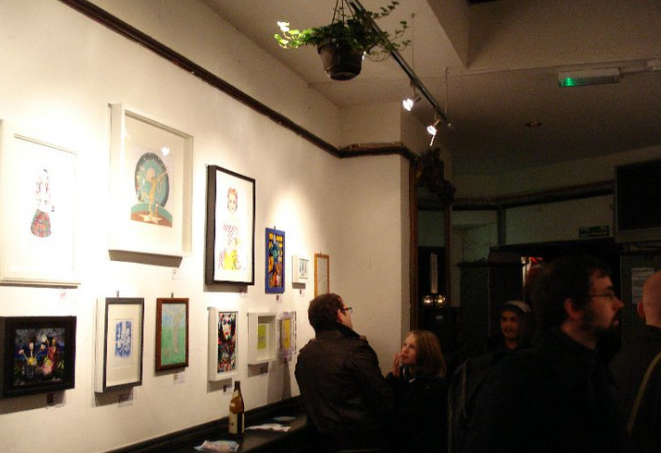 What better way to spend an evening than getting drunk for free and buying some bitchin' art? 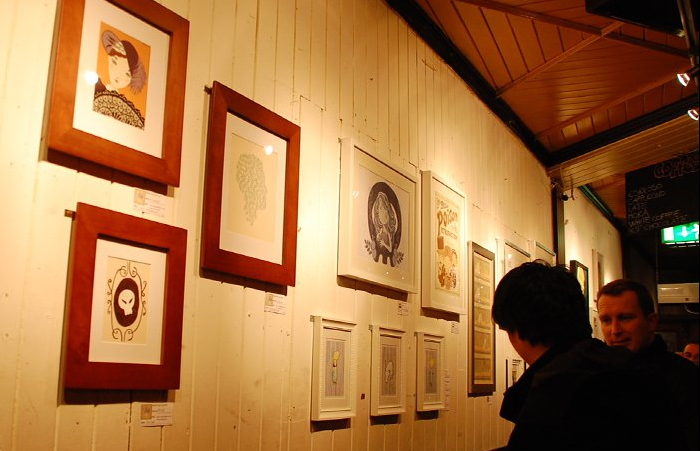 I can't believe it's so CHEAP! There was more than one beer, honestly.